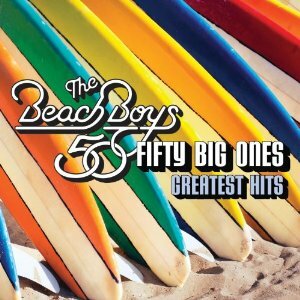 As the title indicates, this 2-CD set collects 50 of the Beach Boys best known hits, fitting that this year marks the 50th anniversary of the legendary band, whose original members reunited for a tour. It’s really THE compilation of all compilations ever issued by the band—spanning their entire career from the last 50 years and pretty much has all of the hits: from “Surfin USA,” “Help Me Rhonda,” and “California Girls”; through the Pet Sounds era of “Wouldn’t It Be Nice” and “God Only Knows,”—to latter-day songs “Kokomo” and most recently “That’s Why God Made the Radio”—music that is stamped by lyrics of summer, beach, fun and girls; wonderful vocal harmonies; and the studio and technical genius of Brian Wilson. There are too numerous-to-count Beach Boys albums, so if you just want the hits, 50 Big Ones is the reliable bet. Speaking of studio albums are the reissues of the band’s early albums from the early ‘60s to early ‘70s, and most of them contain both the mono and stereo versions of songs, including those for Pet Sounds and Smiley Smile.